The celebration of American independence is a family and fun-filled day for almost everyone - with the notable exception of grocery store managers. Rather than spending the day celebrating at backyard barbeques, grocery store employees are stuck inside dealing with massive crowds. They watch with both horror and awe as moms play tug of war over the last package of hamburger buns and dads race for the red, white and blue cases of Budweiser. While having a first row seat to the 4th of July madness has its entertainment perks, dealing with these burger-hungry, beer-craving Americans can cause stress and panic to even the most composed grocery store managers and employees. But fear not! Here at Orbital Shift, we care about your sanity. That’s why we’ve compiled some tips to help you stay one step ahead of the crazed customers flocking to your store this 4th of July. Stay Calm. As beer-filled, food-focused customers hyped up on American patriotism rush to your store, do your best not to panic. Although easier said than done, staying calm will allow you to focus on completing your duties and managing your staff rather than getting distracted by the American flag-clad patriots rushing to the condiment aisle to grab that last gallon-bottle of ketchup. Stay Stocked. Although your store may start out with enough classic American grub, the key is keeping it on the shelves throughout the entire day. 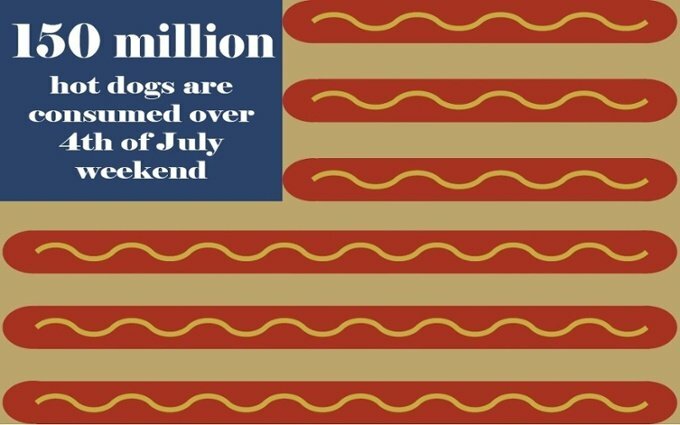 According to US News, over 4th of July weekend, Americans consume150 million hot dogs, 700 million pounds of chicken, 190 million pounds of beef and more than 68 million cases of beer. Keeping these high-demand products on the shelves will keep checkout lines moving as the crowds continue to pour in. Once you’re done gagging over those stats, check your inventory. Do you have enough? Better hope so. Stay Staffed. You might think you’ve perfected your 4th of July employee schedule, but chances are you haven’t. As many great American leaders, like Batman or your own parents, may have told you, “expect the unexpected”. Chances are, you’ll have at least one or two employees who’d rather spend the day drinking beer with their friends than come into work. Make sure you’re prepared for these no-shows by having a few staff members from each department on call and ready to save the day like any superhero would. Remember, there’s no way to calm the patriotic crowd flooding your grocery store this 4th of July weekend, so try to embrace it. Yes, it will be stressful, but take comfort in knowing that your hard work is allowing Americans to do what we do best - be stereotypically American. 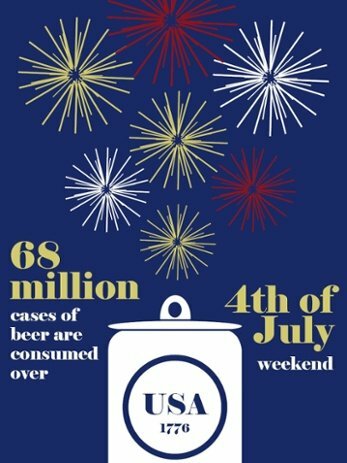 Oh, and don’t forget to join in on the party once your shift is over, because you’re a burger-loving, beer-drinking American too - and that alone is worth celebrating.